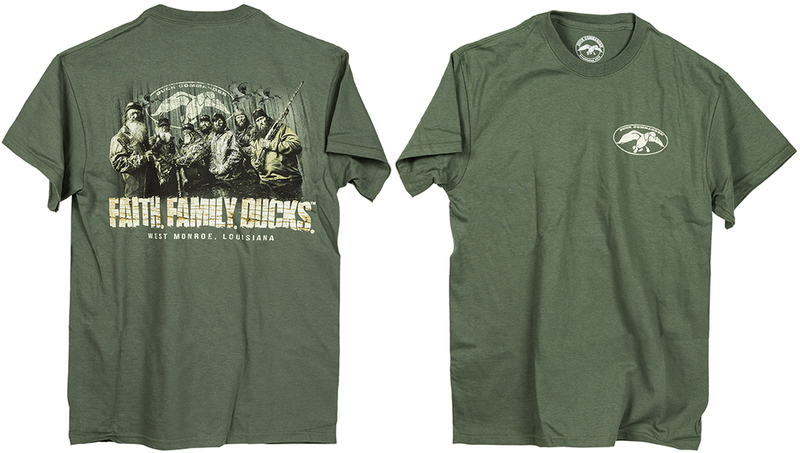 The back of this moss green cotton t-shirt features the "Faith. Family. Ducks." motto and "West Monroe, Louisiana" beneath the Duck Commander logo and Duckmen photo. It has a small Duck Commander logo on front left chest.